Last September, a gram panchayat in Madhya Pradesh’s Betul district slapped heavy fines on some families for defecating in the open, and not behind bund darwaazaa (closed door) of their private toilets, as a preachy Amitabh Bacchhan croons in an ad jingle for the Swachh Bharat Mission (SBM). The ad doesn’t invoke the fear of law (as, to be sure, there is no law against defecating in the open; at least not yet) but it tries to cajole, even shame, people into expressing, as it were, their gut feelings within the discreet confines of their loo. Still, as the Indian Express reported last October, the shocked village residents were issued notices for this literally open defiance. The offenders were asked to pay up steep fines within three days, failing which, they were warned, revenue officials would come knocking on their doors. In their defence, the families argued that the official collateral of Rs 15,000 wasn’t enough to build a toilet, as with their meagre daily wages they were barely able to keep the wolf from the door. Besides, they had to walk almost a kilometre to fetch water (needed to flush the latrine) from the nearest tube well. One man even had the chutzpah to say that relieving in the open gave him greater pleasure. Intriguingly the local officials insisted the notices were only meant to scare the offenders into falling in line so they could meet the Mission’s open-defecation free (ODF) target. So what was the great urgency? Fear of their bosses’ wrath may be? Or, not implausibly, they were probably fired-up by Prime Minister Narendra Modi’s impassioned appeal to make Indian ODF by October 2, 2019, Mahatma Gandhi’s 150th anniversary. The truth is deviously Kafkaesque—while the government may be projecting SBM as Gandhiji’s unfinished business (a political masterstroke), few know that beneath the moral and nationalistic varnish lies the cold and ruthless logic of economic efficiency that Modi himself swears by. He knew a similar mission started by the previous United Progressive Alliance (UPA) government had gone down the drain. So he roped in the World Bank, which redesigned the programme based on what anyone who’s ever shopped online knows as COD, or cash on delivery. Simply put, it means no outcome, no cash. This carrot-and-stick logic runs down to the ultimate beneficiary of SBM assembly line—families can avail of the official subsidy of Rs 15,000 only if they demonstrate their intent by investing a part from their own shallow pockets. Ironically, the Word Bank still has not delivered the first two tranches of the US $1.5 billion loan it had sanctioned in early 2016 to shore up SBM, simply because the government had not put in place, as part of the prerequisites for the loan, an independent third party to verify the outcomes of the programme. According to the Union Ministry of Drinking Water and Sanitation, it has only recently awarded the contract to an international consortium. With the D-day just eight months away, even as SBM administrators anonymously complain of lack of funds, there is no clarity on when will the agencies complete their verification and the Bank will release the funds. Be that is it may, COD has in recent times become one of the most attractive lending strategies following the global financial crisis of 2008. In the revised rules of the game, the bottom line is to ensure that you get the maximum bang for every buck spent. This applies especially to what is referred to as official development assistance (ODA), which now runs into an excess of $150 billion annually. It includes financial aid—grants, and loans below market rates—from OECD, an intergovernmental economic organisation founded to stimulate world trade, and international financial institutions like the International Finance Corporation and the World Bank. But, increasingly, it’s also gaining currency with non-OECD donors, multilateral banks, and with philanthropic organisations, such as the Bill and Melinda Gates Foundation too. COD is almost a no brainer. In the traditional model, which still accounts for the largest slice of the ODA pie, donors, not recipients, arrogate to themselves the right to decide what to put their money on. So needy governments just play ball to get the cash. Thereafter how that money is spent is largely out of donor’s hands. So, in the name of improving literacy you may get basic hardware such as blackboards and makeshift buildings, but no teachers; or lots of toilets but no water. That’s not all. As donors do not trust the local bureaucracy, they end up spending millions of dollars in drawing up elaborate accounting and auditing protocols (the much-hated logframes, to name one) on how the money is to be spent. Yet, sometimes it is impossible to prevent corruption. As The Economist reports, “laying a square metre of road costs the World Bank over 50 per cent more in countries where firms report paying bribes above 2 per cent of the value of contracts than in ones where such payments are reported to be lower—even though its anti-fraud measures are equally stringent the world over”. In the new deal, donors do not push their agenda down the throats of recipients. Instead, they go by the recipient’s need or wish. However, they do not advance cash unless the recipient invests its own money to begin with, and gives some evidence of what’s working. So, for instance, in SBM, the World Bank will not release loan unless there is evidence, independently verified, not only of toilets built but also of people actually using them consistently. Proponents of the new approach claim that not only does it save a lot of money and bureaucratic rigmarole but it also allows recipient governments much greater leeway in designing their own programmes. The World Bank’s $1.5 billion support to SBM may be the world’s single largest COD scheme, but almost every funding agency is toying with the idea in their development projects on health, education and infrastructure. Norway, for instance, pays Brazil $5 for each tonne of carbon emissions avoided when trees that would have been cut anyway are not cut. It uses satellite images to verify the outcomes. Likewise, the Global Vaccine Alliance, a public-private venture, pays governments $20 for each additional child immunised against diphtheria, whooping cough, and measles. But Africa by far remains a popular hunting ground for COD projects. Of the 22 programmes funded by the UK government’s Department for International Development (DFID), 12 are in Africa. Likewise, of the World Bank’s 35 COD projects, Africa accounts for at least 15. Most of these projects have to do with traditional themes like education, health and environment, but increasingly aid agencies are using the COD idea to restructure governance systems. Burkina Faso’s Public Sector Modernization Program, which seeks to build “better institutions and a more effective public administration”, is one such example. Some analysts believe that tweaking governance is tricky with at best vaguely measurable outcomes. This suggests that aid agencies are still reluctant to let go off their old prescriptive powers. Clearly, COD works where outcomes are measurable, and preferably achieved in a short time, as in the example of the Norwegian project on checking carbon emissions. But, as many critics have pointed out, the obsession with outcomes could result in denying funds to many desirable projects where the outcomes are not so tangible, say, for example, reducing crime by changing adolescent behaviour. As large developing nations like India and Brazil shake off their old recipient coils and become donors in their own right, Africa has become the largest beneficiary of foreign aid, and hence a hectic laboratory for new theories of international aid. For years, it was the dark continent of poverty, disease, wars, and dictatorships. In his 2008 book The Trouble with Aid, John Glennie despaired that the lot of Africans hadn’t improved despite decades of foreign aid. He quotes a survey that found that “a majority of civil society actors in Africa see aid as a fundamental cause of Africa’s deepening poverty”. Four years later, however, Western media was full of stories of economic boom, rather than gloom and doom. In 2011-12, influential papers like The Economist, the Wall Street Journal, and the Time, carried cover stories all titled “Africa Rising”. To quote from The Economist story, “over the past decade six of the world’s ten fastest-growing countries were African. In eight of the past ten years, Africa has grown faster than East Asia, including Japan”. After a long time, many Africans were living longer, getting into universities, and drinking clean water. Boom in commodities market, and relatively peaceful and stable political climate were supposedly behind the “rising”. Fast forward another fours years, many regions had slipped back into the old abyss of despair. Ethiopia, which was the fastest growing economy from 2010 to 2015, had plunged into political turmoil. Likewise, South Sudan, which was one of the world’s fastest-growing economies in 2013, had now turned into bloody arena of civil wars. Many economists believe the turmoil was the result of the same economic policies that had not just caused the boom but also sharp inequality. As one Zambian economist told the New York Times, “some of the fastest-growing economies, like Ethiopia, Angola and Rwanda, are among the most repressive. These governments can move ahead with big infrastructure projects that help drive growth, but at the same time, they leave out many people, creating dangerous resentments”. Rising inequality and social disruption around the world are precisely the after-effects of neoliberal economic policies gone horribly wrong. Many believe that the 2008 financial crisis should have put a spanner in the neoliberal works and forced introspection, but, aid agencies refused to budge from the dogma that the rising neoliberal tide will lift all boats. No surprise then that the new paradigm of AfT and VfM are now the governing principles of ODA. As DFID puts it unambiguously, the purpose of VfM is “maximizing the impact of each pound spent to improve poor people’s lives”. It appears the neoliberals are making the same mistake as astronomer Ptolemy who kept modifying his model of the solar system to keep earth at the centre—by not willing to see that the market is not the centre of life, nor a panacea for life’s problems, they are busy fabricating evermore Daedalian market models just to keep the myth going. As John Mckay, an Australian academic who has reflected on the 2008 crisis, has written, “neoliberal focus on what they call ‘good governance’ and ‘rational economics’ has produced a range of results that are neither good nor rational”. Following suit, the aid universe too has become increasingly byzantine, throwing up curious alliances between markets, states and non-profits, with funds being channelled through ever more complex “aid chains”. So much so that, in their 2014 book Assessing the Impact of Foreign Aid, editors Max Kelly and Viktor Jacupec, argue that “given that there is little empirical evidence of the impact of aid policy and practice to date, we are yet again entering a relatively uncharted territory in terms of approach and potential impact of development interventions”. Whether aid works or not, ODA has only risen, reaching a record level of $162 billion in 2014, even though it now comes intricately woven into trade and geopolitics. However, many developing nations are now turning to new players in the global aid game, notably BRICS (Brazil, Russia, India, China, and South Africa). The BRICS bank and the China-led Asian Infrastructure Investment Bank now compete with old horses like the World Bank. Reliable figures are hard to come by as China doesn’t publish its spending data, but OECD estimates (based on direct reporting) BRICS donated over $5 billion in 2013, of which China gave two-thirds, and India one-fourth. But recently, AidData, a research lab housed in the College of William and Mary, US, trawled through reams of public and official documents for five long years and came out with some startling, even if educated, guesses about the full extent of China’s foreign aid. For instance, between 2000 and 2014 China dished out $354.4 billion in official funding, close behind US’s $394.6 billion for the same period. In fact, China is now the biggest donor to Africa, committing $60 billion of development finance for 2016-18. Notwithstanding the popular impression of China being a “rogue” donor courting repressive regimes to lay its hands on their mineral resources, many African leaders believe China also gives much-needed aid for things like health and education but without the arm-twisting tactics of the older international institutions, such as IMF. India too in the last three years has become a net aid giver than a recipient, even though its foreign aid largesse is a far cry from China’s. In 2015-16, India donated almost four times ($1.2 billion) what it received as aid. Although confined to the subcontinent as of now, India’s sphere of influence is bound to grow in proportion to its economic power. On the opposite side were the “aid reformers”, for whom aid was a catalyst for economic development but that it had to be managed professionally for it to be truly effective. The World Bank, and economists Jeffry Sachs and Paul Collier all fall in this band. As aid professional Hannah Taylor argues, “aid agencies do not widely publish the success they have sustained in terms of democratic process, economic growth, institutional building and budgetary support; these are the largest budget lines of donors and it is significant that there is little conclusive evidence on these indicators”. Engel is probably speaking the truth. 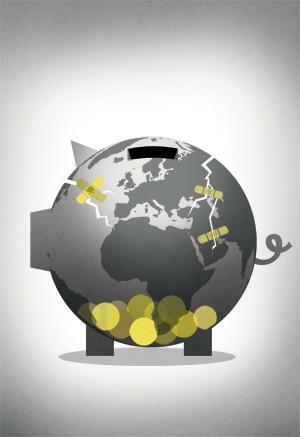 In 2016, journalists at the Centre for Investigative Journalism, London, found that in 2014 the money given directly to poor countries amounted to $9.5 billion, which is a mere 6 per cent of a total of $165 billion! So what about the rest? Turns out a good chunk of it is spent through non-profits and private contractors. “Billions of dollars each year,” as they write, “are spent buying goods and services—everything from drugs to consultancy”. More astonishingly still, their investigation revealed that since 2000, particularly after 2008, the links between big business and the international development aid industry had become even more intimate. 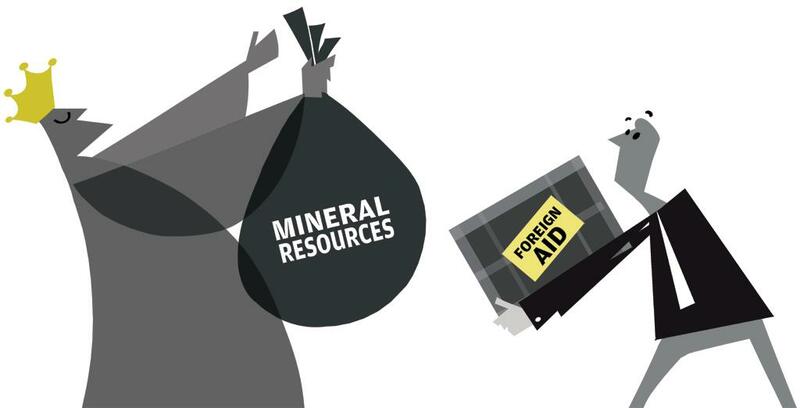 To quote from their report, “the 21st century has witnessed a corporate takeover of aid... Big NGOs are striking deals with multinationals too”. Given this cosy relationship with business, it is not at all odd that aid agencies should embrace ideas like COD for disbursing aid. The donors do not want to waste their dwindling budgets on assessing impacts, while for the recipients it is more convenient to show outcomes to get more funding. It’s a win-win for both. This brings us back to the question of how to assess the success or failure of a programme like SBM, which is designed to measure only outcomes (toilets built), and not impacts (fewer cases of diseases attributed to open defecation). In fact, critics argue that the COD model, which is subject to the laws and practices of the recipient country, is likely to result in governments tampering with social and environmental safeguards. For instance, last November, Leo Heller, a UN Special Rapporteur, had criticised the government for its single-minded obsession with building toilets, for, he argued, “eliminating open defecation is not only about building latrines, but requires adequate methods for behaviour change”. The government dismissed Heller as a peddler of “inaccuracies, sweeping generalisations, and biases”. Meanwhile, the propaganda machine continues to whirr through the cogs of mainstream and social media. As the day of reckoning with the Mahatma looms, and as SBM slips on various targets, the government is reportedly resorting to ploys like diktats, surveillance and public shaming that would have certainly made Bapu queasy in his bowels. Little wonder, this politically driven frenzy over cleansing India in a hurry is throwing up many caricatures—call them Poo-temkin toilets, a poetic distortion of Potemkin villages, fake portable villages assembled on the orders of a minister called Gregory Potemkin to impress empress Catherine II. In an article on thewire.in, Yamini Aiyer, president of the Delhi-based Centre for Policy Research, argues that “one casualty in this rush to meet targets is data quality. Two years into SBM and rigorous third-party evaluations on outcomes is scant. The annual latrine usage survey has only just begun.” In fact, in a field survey conducted in 1995, her group found that as many as 1/3rd households reported to have toilet in the government database were actually Poo-temkins! It might be too early to dismiss aid agencies’ flirtation with new business models as reactionary, politically expedient, and eventually counter-productive, but even if these fears turn out to be true, it shouldn’t surprise anyone should these ideas become par for the course. Not unlike the neoliberal emperor without clothes who continues to lord over the world despite being exposed in 2008. (The cover story was first published in the 16-28 February issue of Down To Earth under the headline, The new gift economy'). Continue reading the cover story here and here. Can aid engineer economic prosperity?